So I tried to tweet this pic earlier today but ... I did something wrong. Or it's just the terrible reception in the library. 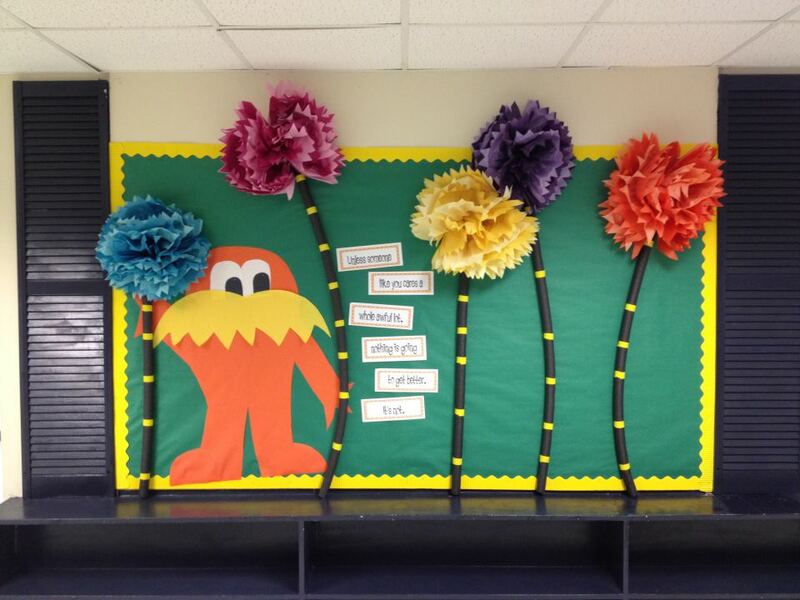 But here is our Lorax bulletin board, very much inspired by this one found via Pinterest. And actually since this we had a teacher who loved it so much she went back and on her lunch break whipped out a couple Barbaloots. So they're on there now. I love it! You found a wall to use!! YAY!